Using templates, you can easily create front pages for the workspace and its folders. 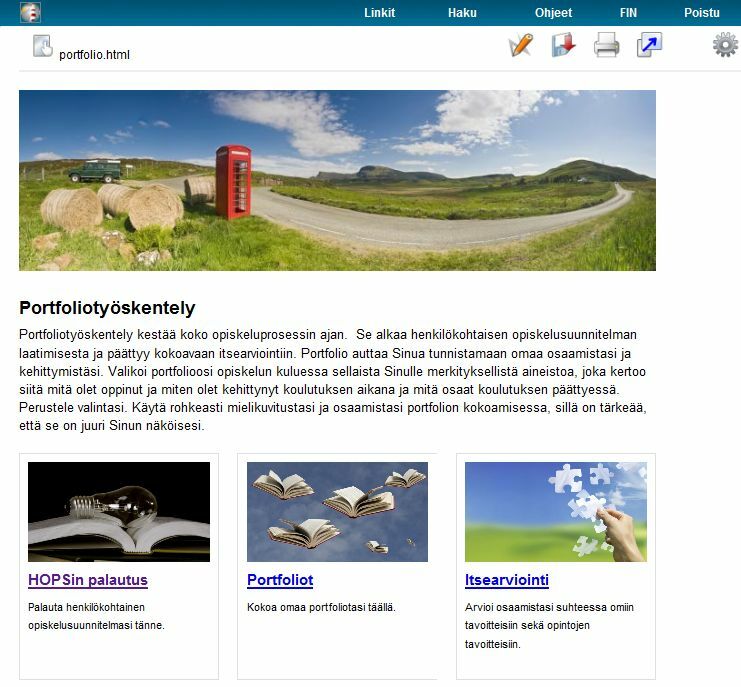 The templates come with the fonts, styles, columns and image locations, which means that you only have to create the contents. The templates are used through the Light Web editor. Go to the workspace where you want to use templates. Click Add a new object and open Light Web editor. Click Insert template from Optima (grey icon in the middle of the row on the bottom). 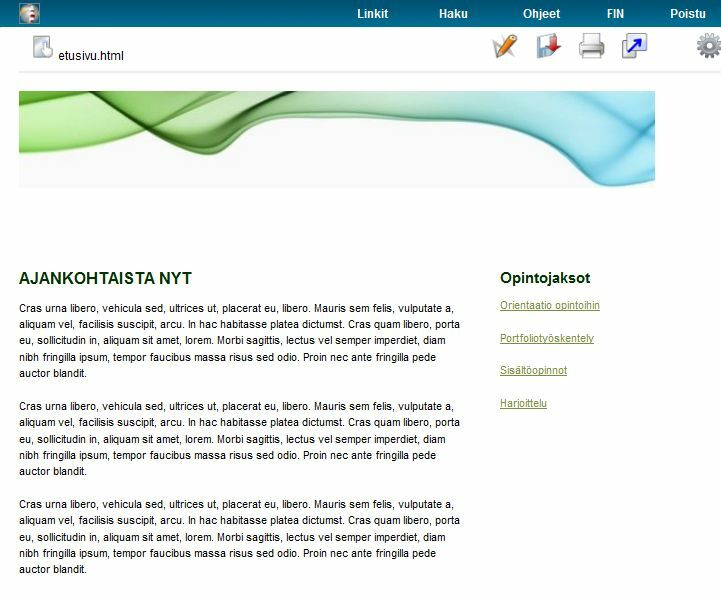 Open Material tab and choose template from Optima mallipohjat workspace.You can preview the templates. 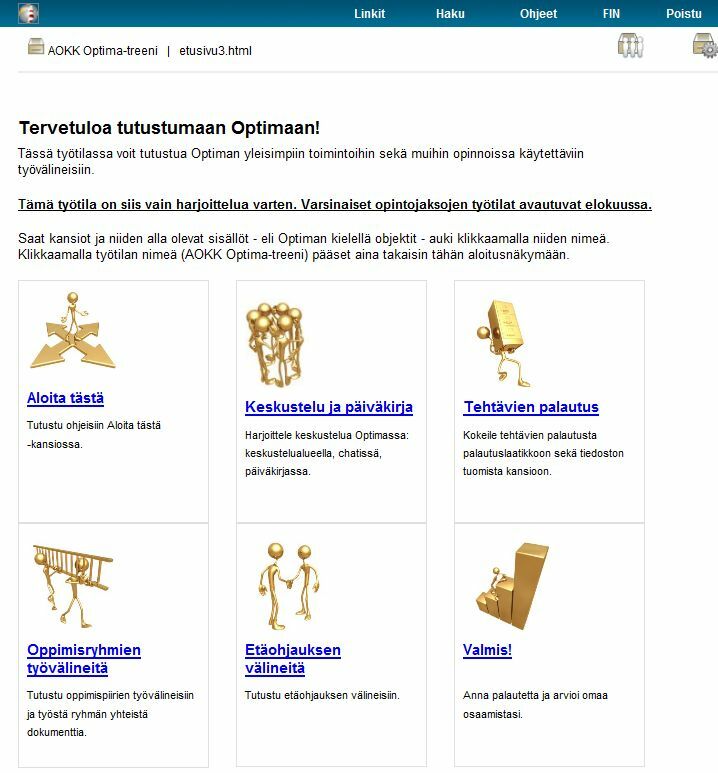 If you don’t have access to the workspace Optima mallipohjat please contact Helpdesk.